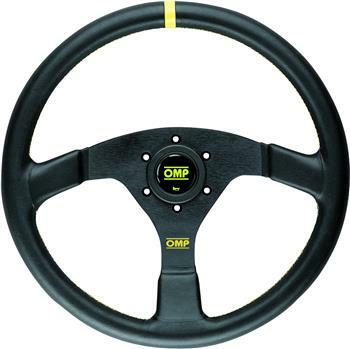 OMP America Steering Wheel - Velocita 350 UNIVERSAL - Dezod Motorsports Inc - Home of the automotive performance enthusiast since 2002. Flat steering wheel with 3 black uncovered anodized spokes. Complete with horn button.